Activated charcoal is something I have been using for YEARS. It is the #1 thing I have with me in my purse at all times (#2 is NutraSilver and #3 are essential oils -- peppermint and thieves). Why is it so important? IT CURES FOOD POISONING! It is what every EMT and ambulance has on hand for any type of poisoning -- overdose of drugs, food poisoning, etc. It is a MIRACLE. And it should be in EVERY.SINGLE.HOUSE. It is safe for babies, adults, pets, you name it. When your dog ate something suspicious and you think it might poison him or her, give a capsule or two (depending on size of animal), and it will adsorb the poisons. Adsorption is different than absorption. **This also helps with hangovers** Not that I want to be an enabler or anything, and I don't even drink alcohol, but I have seen my husband suffer big time from hangovers and would not wish it on anybody. No matter how stupid they were the night before!! hah! What else is it good for? Lots! It is a must have when you go on vacation, in case you get Montezuma's Revenge. Seriously. It has saved me many times when I was in Central America. I would not even imagine going anywhere without it! And, I use it for teeth whitening! You should seriously try it. First, since it is not a loose powder, and it is in capsule form, you have to be careful about opening the capsule. It can make a mess but it is easy to clean up. Pour the black powder onto your damp toothbrush, and then brush away. You will be amazed!! I know it looks terrible and dark and such, but once you spit and rinse your mouth out, you will see the tea stains, coffee stains, or just plain yellowish color, GONE! No joke! It may have a scary look to it (no one wants to eat black powder, right?) and it may make you a teeny bit constipated with dark stools the next day, but don't worry... it is just temporary. And totally worth it since you just cured yourself of a bad case of food poisoning! 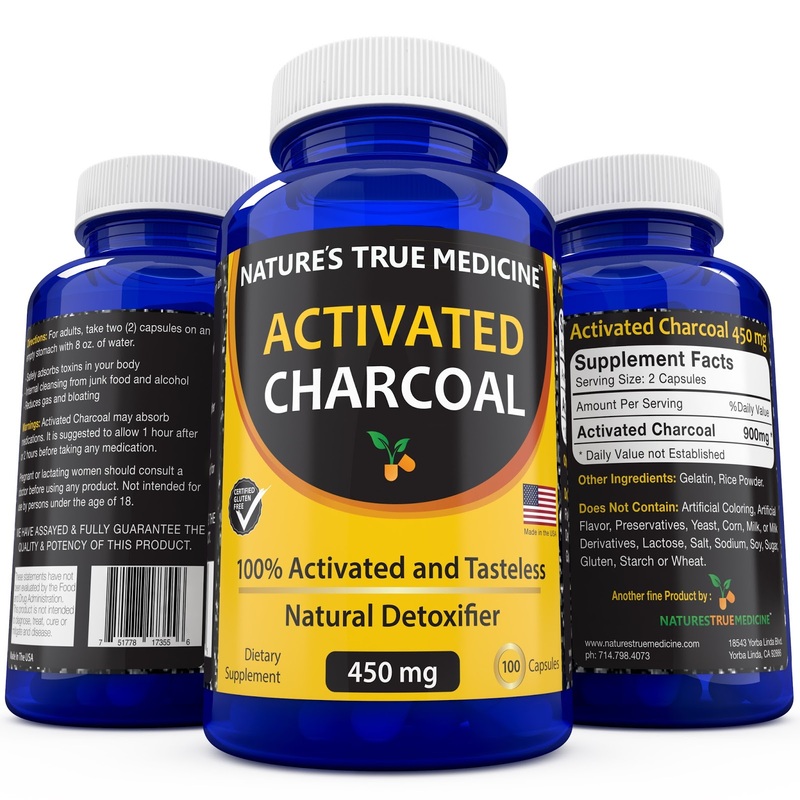 So, what is so great about Nature's True Medicine Activated Charcoal? Manufactured in the USA without artificial colors, flavors, sweeteners, preservatives, sugar, milk, lactose, gluten, wheat, yeast, etc. Multiple uses for it -- all are safe! Money back guarantee in the first year. 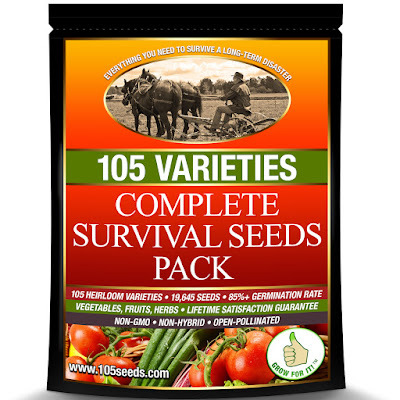 If you are interested in emergency preparedness, or think some type of grid down or long term disaster situation is inevitable, then you need these survival seeds. 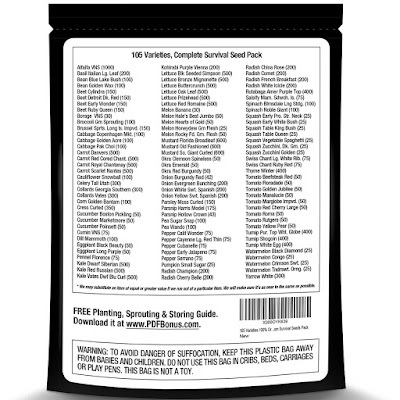 In this pack of seeds they have 105 varieties of heirloom fruit, vegetable and herb seeds. There is a total of 19,000 seeds altogether. They have a germination rate of about 85%, and they will last a long time if kept in a cool, dark place, not exposed to sunlight. 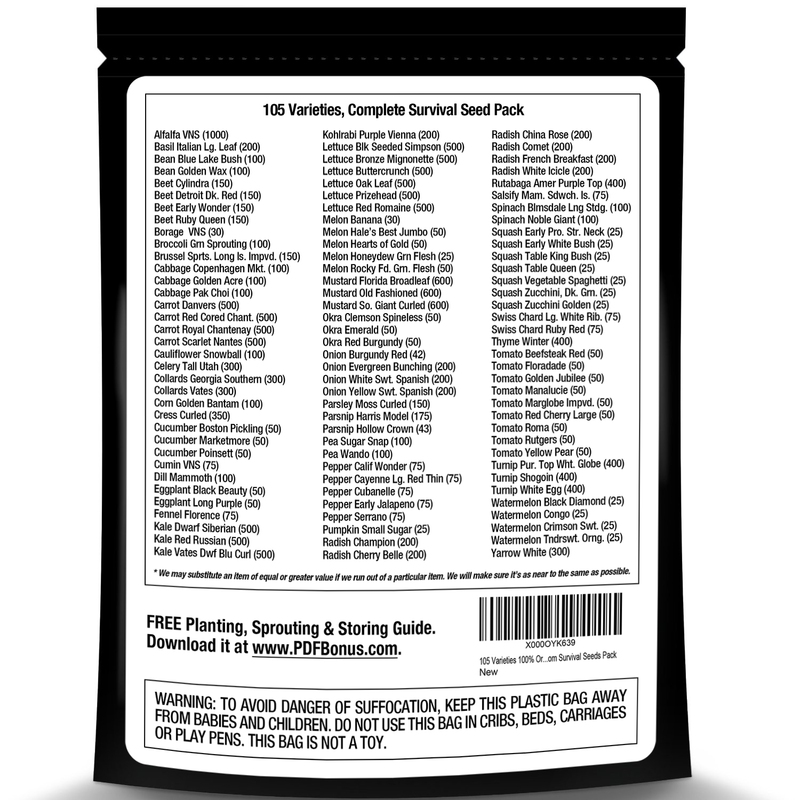 You get a free PDF guide for planting and storing your seeds, and harvesting them for the next season. This is a never ending supply of seeds! That is because they are heirloom, not hybrid. 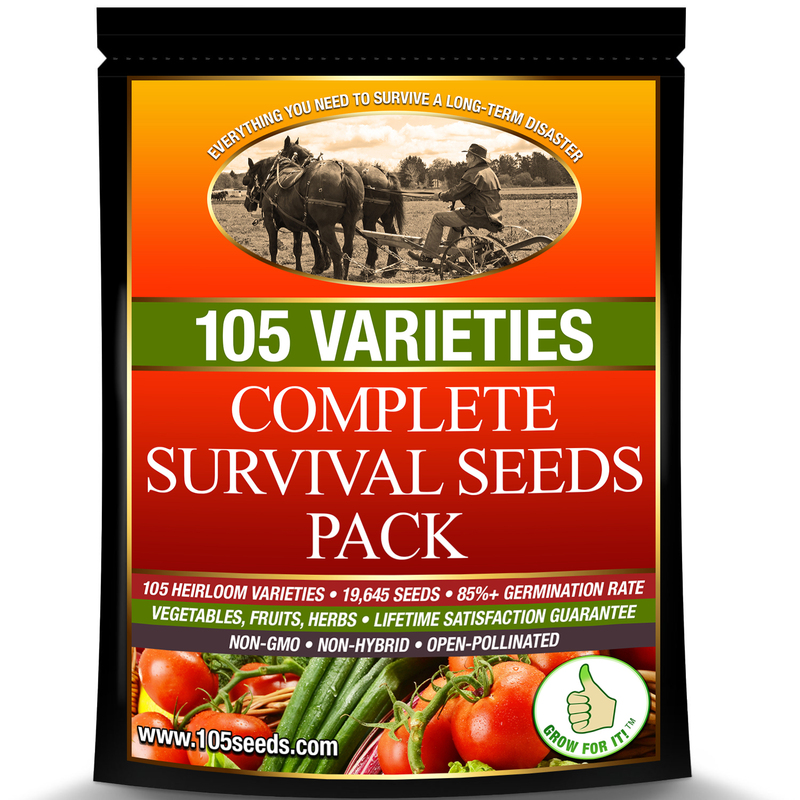 They are 100% non-GMO, non-hybrid, open pollinated heritage seeds. Here is a list of all the seeds you get (click on image if you need to enlarge it). One thing I would have done differently? More corn varieties and less beet varieties! But I have a thing with beets, where I don't like them that much! This is a kinda neat little device. It may be compact, but it is heavy duty. It isn't made from cheap plastic. 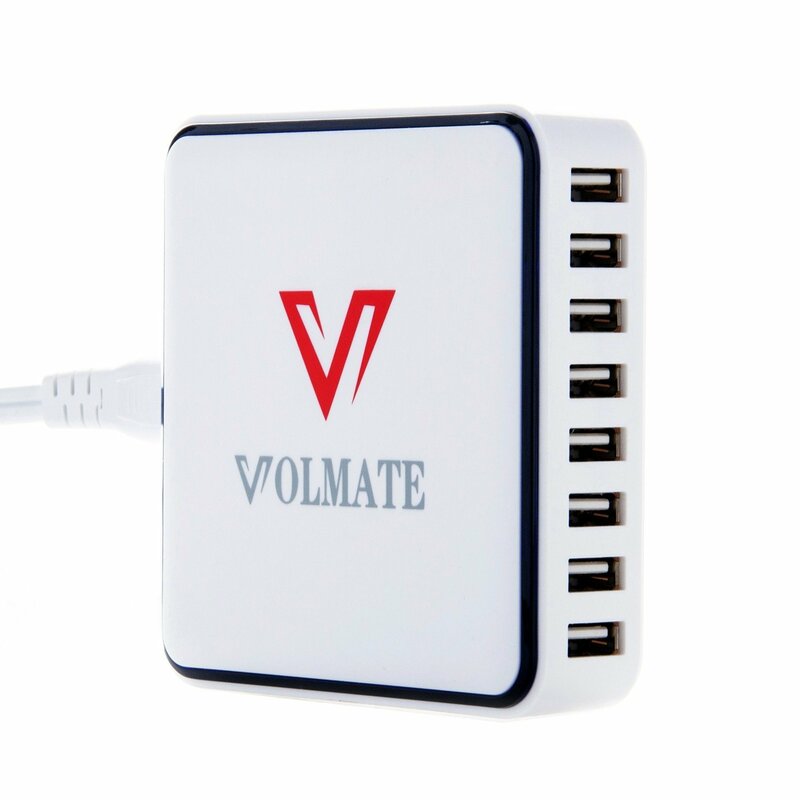 It is an 8-port USB wall charger, for all your devices. 1. It has a cord. This is neat because you can actually plug it into the wall and have the charger sit in a table nicely. In the past, I have had the power chargers that plug directly in the outlet, and I have to move chairs or couches or tables out of the way to get access to plug things in. 2. It has an LED indicator light for each port to let you know when it is charging and when it is completed. 3. EIGHT. Yes, EIGHT PORTS. How cool is that? Now, everyone can charge their devices and there is no trouble fighting over the charger. 4. While it is high quality, it still is small. 4" x 4" square so you are not going to have to make a lot of room for it. 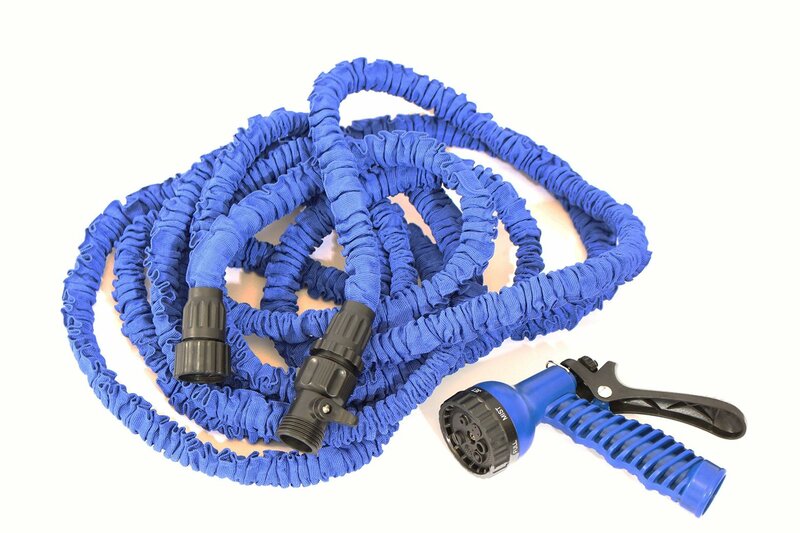 This garden hose is pretty neat for a few reasons, but pretty awkward for a few other reasons. First of all, it is VERY lightweight. It fit in a plastic bag about the size of a brown paper lunch sack! I couldn't believe this would expand to 50 feet. It also doesn't seem to crinkle or twist and cut off the water flow. It was easy to figure out how to put it on the water spigot in my backyard. It came with a free spray nozzle. It doesn't seem to stretch out to 50 feet. I surely didn't measure it but we have a 50 foot hose for the larger area of the garden, and this hose wouldn't fit nearly to the same area. In fact, it DID stretch, but it felt like I was pulling a rubber band and was just going to wait for the other end to snap and get me good. I could not for the life of me figure out how to put the spray nozzle on. So I watered my potted plants without the nozzle, just free flowing. Would I buy it again? I don't think so. I am not super impressed although I really did love how lightweight it was and how easy it was to attach to the spigot. 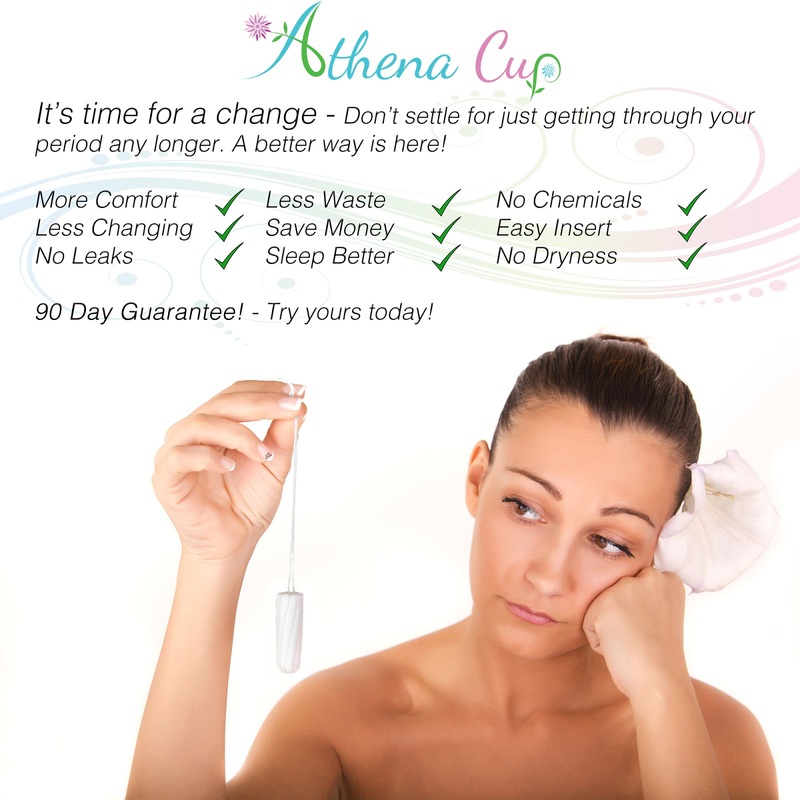 The Athena Cup is a menstrual cup that is reusable, gentle and eco-friendly. It is made of 100% hypoallergenic materials that do not absorb anything into the body. It is SAFE and effective. It has a 15 year lifespan, which means you can save a LOT of money over the years. And you can wear them for up to 12 hours at a time. Not only that, by using them you are saving the earth -- do you know 20 BILLION pads and tampons are thrown in landfills every YEAR in North America? Regular pads and tampons are made of chlorine-bleached wood pulp and gmo cotton grown with pesticides. They have plastic with glue mixed in and you also are sure to get your share of bleach and dioxins. Some research has shown that all these toxins actually contributes more to PMS symptoms, along with longer periods and more bleeding. NO, THANK YOU! These carcinogenic chemicals are harmful to your body and to the environment. It comes with a fancy carrying bag to store it in. It is made out of super soft material and the highest quality silicone. It is easier than competitors to insert and remove. They offer a 90 day guarantee - no questions asked, so what are you waiting for? Learning how to effortlessly insert and remove your Athena Cup can take some patience and practice. At first it may feel a little strange but with a short amount of practice you will soon be putting your Athena Cup in effortlessly. When you first receive your cup wash it well using warm water and a mild soap or put it in boiling water before first use. 1)Wash your hands and cup under running clean water. 3)Stand, sit, squat, or raise one leg, whatever is the most comfortable for you - Then guide the folded cup into the ******. 4)Point the cup up and towards the back as you insert it, towards your tailbone ensuring the cup enters completely - Then Release. 5)Once you release the cup will pop open and create a seal. Simply hold the base of the cup with one hand and rotate gently to ensure the cup has opened fully. The stem should be at the entrance to the ****** and outside of your body for correct placement. 1)Sit on the toilet and reach up to pinch the sides of the cup allowing the suction seal to be broken. 3)Rinse and clean your cup and re-insert if you are still on your period. If you are finished your period simply give the cup a thorough wash using warm water and a mild soap. ****You must NEVER use lubricants to insert your Cup, this can damage the soft silicone material. Exposing your Athena Cup to harsh chemicals can result in damage. You can use a diluted vinegar solution for extra cleaning but no more than 1 part vinegar to 10 parts water Enjoy your Athena Cup! This LED lantern from Galactic Lighting is pretty nice. It has a lot of features that I like, and I will tell you about. 1. It is small. The compact design allows it to fit easily in small spaces. It won't take up too much space in your camping gear. When we were growing up we used one of those LARGE Coleman lanterns for camping. It was gas lit and we had to use one of those small propane tanks. It weighed a lot and had an actual wick inside that could cause a fire. This one is 1/10th the size, and no fire danger. 2. It is lightweight. Barely weighs anything. 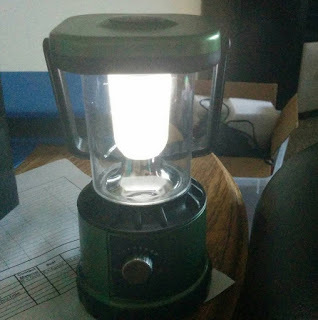 Unlike the older lantern I mentioned previously that weighed about 5 lbs. 3. It has a dimming rotary switch on it, and can be turned down low, and turned up super high. The brightness is unbelievable. 4. The LED bulbs will last a LONG time. It requires 3 "AA" batteries, which aren't included. It is only about $16, and is cheap enough to buy one for each room for emergencies, and to have while you are camping. It is made in China, but practically everything else that we buy is, as well. So don't judge that characteristic too harshly. How I Get FREE Products To Review From Amazon + More! About 15 months ago I started reviewing products on Tomoson.com. It is a very well-put-together "influencer marketing" site where brands (companies) can get their products into the hands of bloggers or "influencers" and get the word out via social media channels. I got hooked! I love getting products for free. And now that I have been doing it for awhile, and my audience reach is over 25,000, I am getting more and more offers and better products. And many of the brands want you to review their product on Amazon as well. And as a result, my Amazon ranking is getting better and better. So I want to give you some tips and websites of places you can go to try and get free products! As I mentioned, Tomoson is the place I got started. Initially you had to have a blog but I believe you can now register without having a blog. Many brands want you to do more than just write a blog post about their product. There are options for posting on Instagram, Twitter, Facebook, YouTube and a 3rd party site like Amazon. This is one where they only request an Amazon review. It is free to sign up as well, but not all the products they offer are free. Some of them will be $0.01 to about $2. I have only gotten about 10 products total from this site. 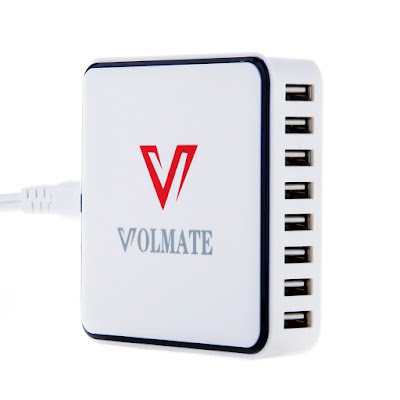 Many of the products don't interest me at this time, but I have gotten some good car chargers, USB cables, etc. Another one similar to Elite Deal Club. Not the BEST products to choose from, but still a way to get some products to start the review process on Amazon to get your ranking better. Similar to the above two. I don't know much about this site but it might be worth checking out. My brother gets a lot of neat electronics -- from Rokus to wireless gear from this site. I signed up and have never been approved to review any products yet. So, what is so great about Amazon? Other than being my favorite place to shop, you can get a lot of perks if you know how to find them. Many times they offer you $1 digital credit that you can spend on eBooks, MP3s or movies. Lately I have been getting the option to get $5.00 toward Prime Pantry. FREE FOOD!! YAY!! 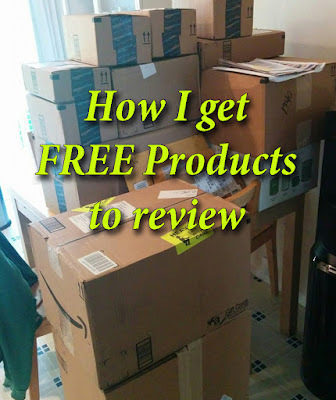 So for each free product I get to review, not only do I get that product, I also get $5 toward free groceries! How cool is that? You can see how I put my URL and also my email address to a free hotmail account on the bottom left of this picture. That way, they can email me directly to request me to review their products. Another cool thing about Amazon is their free eBooks. Click HERE to get to the Kindle eBooks section. Then, scroll down on the left hand side to where you can see all the categories of books. Choose one... then drill down in the categories again until you get to a subcategory that interests you. Now, on the top right of the search results you can sort. Sort from LOW to HIGH in price. All the free books are now at the top of the search results. I have about a thousand cook books on my Kindle as a result of this! You can watch short videos or ads to get e-miles or "points". 600 points gets you a $10 Amazon gift card, but you have tons of other options as well, including transferring to many airline rewards programs. This is a survey site but you seem to get rewarded well here. Many surveys take 30-45 minutes to complete. I used to do this often but haven't in a long time. This is another survey site. I am not on it but you may be interested in signing up. Bing Rewards requires you to use their search engine to get points toward Amazon gift cards. There are many other sites out there that offer free rewards or products, but I don't know them all. I have my hands full and can't do more than I am doing! But if you want to comment, I can add them to this post. Thanks, and enjoy all your free stuff! And please PIN IT below and share! 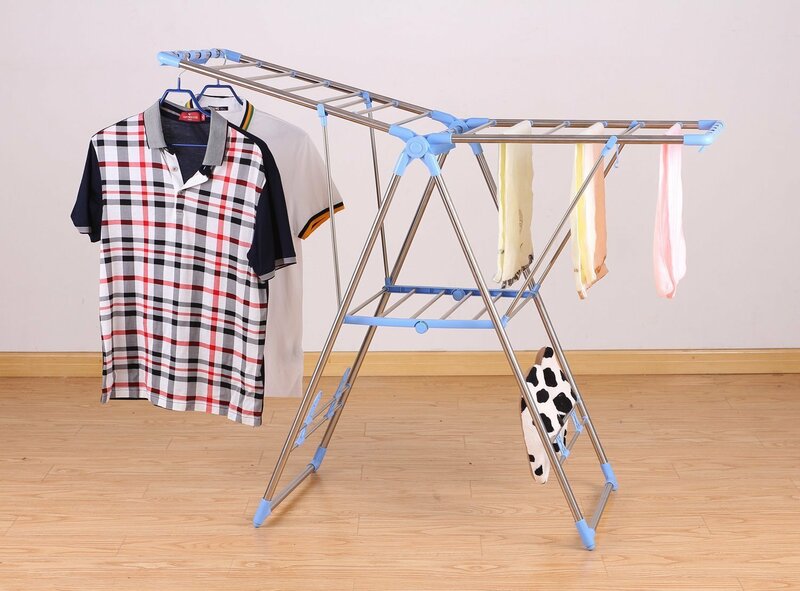 I received this drying rack in the mail and absolutely LOVE it!! I hang dry my clothes quite often and usually it is hanging them over the curtain rod in the shower and on the shower head! Now I can use the real deal. I wish I had this in Panama, because it would have saved me a LOT of headache. Disclaimer: these are NOT my clothes! 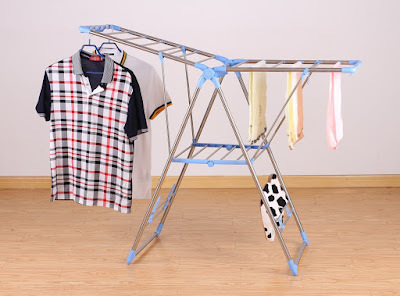 This Heavy Duty Gullwing Drying Rack is adjustable and made out of rust-proof stainless steel. It has a foldable design and very sturdy. When you fold it, it is about 3" thick and can easily slide next to the washer or dryer (not that you need a dryer anymore, haha!) to keep out of the way when you aren't using it. You can use it outdoors AND indoors. Are you going on a long camping trip? Well, no need to hang an invisible clothesline for people to run into anymore! Just unfold this and you can dry swimsuits, clothes, etc at your campsite! If it is raining outside, who cares! Use it indoors. No need to worry about the weather anymore. It is only about 10 lbs and is 50" x 18" x 35.5" when fully opened. 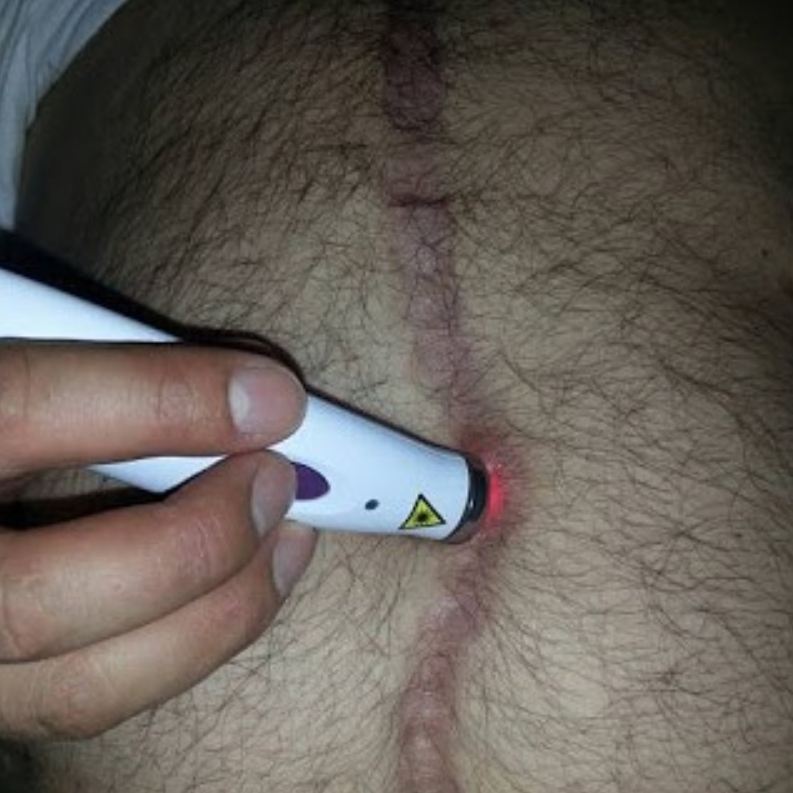 I know this laser is really meant to be more for beauty -- acne scarring, stretch marks, etc. But when my brother was complaining to me about the scar tissue build up around his belly button (from his cancer surgery last year), I thought, "this would be a great opportunity to help him out". So this picture is of my brother's belly, hahah! You can see the huge scar that runs from his chest to below his belly button. They went around the belly button, and when they made the curve, that is where all his scar tissue pain is. So that is what we are working on with him, to break it up with this laser. There are more powerful lasers that are out there, but they are upwards of tens of thousands of dollars, and this is very affordable. This is the "dive into the deep end" test for this laser -- if it works, then without a doubt I know it will work on my mosquito bite scars on my arms from my time in Panama. It is on sale right now for only $99.99 so you should grab it while you can! Garcinia Cambogia grows naturally in Southeast Asia, India, and parts of Africa. The fruit varies in size comparable to oranges to grapefruit. It looks like a small pumpkin with a greenish to reddish appearance. From wikipedia: Hydroxycitric acid (HCA), a citric acid byproduct, is the main active ingredient in Garcinia cambogia extract. HCA blocks fat by inhibiting the efforts of citrate lyase, an important metabolic enzyme. 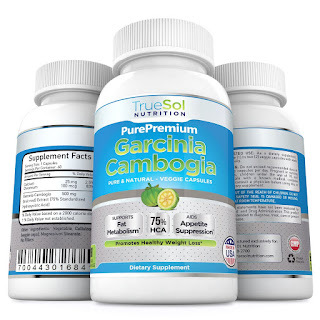 This is one of the reasons that Garcinia is so successful as a weight loss supplement. Blocks fat production by positively changing the way liver converts the sugars you consume in virtually all foods. Yes, even the healthy vegetables, fruits, and dairies contain sugar that could be converted to fat, but the HCA prevents that from happening. Improved sleep quality with the increased effectiveness of the natural serotonin in your body. I would recommend trying it! Buy it here.